Now that the robotic, death-dealing cat is out of the bag as far as Terminator Genisys goes, Skydance and Paramount are really going all out to impress that its new approach to franchise hero John Connor is one way in which the upcoming blockbuster is “boldly” reinventing the rules of the Terminator franchise. 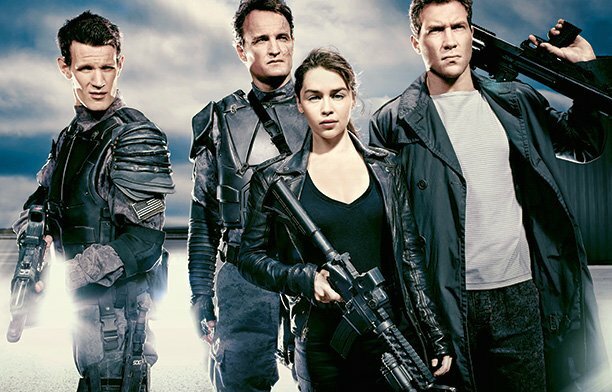 That’s right – this time around, Skynet seems to have gotten its claws into the future leader of the resistance, and Sarah Connor (Emilia Clarke) and Kyle Reese (Jai Courtney), along with the trusty T-800 (Arnold Schwarzenegger), are none too happy about it. The official plot synopsis is below, but the give-away really came in the latest trailer for the pic, which Skydance and Paramount seemingly green-lit after fearing that audiences were writing Terminator Genisys off as an unappealing, unnecessary cash-grab. The pic opens July 1.